Phase Technology is a world leader in the design, manufacture, sale and service of test instruments for the global petroleum industry. Our analyzers are used in oil refineries, commercial laboratories, fuel distributors, aviation companies, and military around the world. Phase Technology's focus and commitment has been recognized with an Award of Excellence from the highly regarded ASTM International for developing world standards for petroleum cold flow behavior. Cold Flow is All We Do! Our concentrated focus on science, engineering and design has made Phase Technology's test methods the most accepted worldwide standard for quality control and release of in-spec product. Our corporate advantage: Phase Technology is a well-established, closely held company that re-invests profits in research. Focused on precision, eliminating bias and increasing workflow productivity; attentive after-sale service and support. Phase Technology began as a company in 1989, though its founders have a much longer history in research and development. We hold over thirty patents for innovative test methods and scientific inventions. Over the years, Phase Technology has celebrated many “firsts” in the industry. We introduced the world's first fully automatic pour, cloud and freeze point analyzer in 1989. Three years later, we introduced the first water-cooled analyzer that didn't need a bulky external chiller bath. Phase Technology was first, and remains the only company to offer pour, cloud and freeze point testing in a single unit. In 1995, Phase Technology's test method for automatic cloud point determination was approved by ASTM international, marking the first time that ASTM accepted an automatic procedure for measurement of cloud point. Similarly, Phase Technology's pour point and freeze point methods became the first automatic methods of their type ever approved by ASTM. Today, Phase Technology continues its history of “firsts.” Our current 70X series analyzer is the first to include many user-friendly features our customers have asked for. It is the first (and only) cold flow analyzer to have a full-color LCD touch screen which displays valuable phase plots and data. The 70X is also the first (and only) test instrument of its type to have USB ports, allowing quick data transfer to flash drives and easy connection with peripheral devices. Phase Technology reinvests a large part of its revenue into research and development. We are committed to improving upon our methods and products to meet our customers' needs. Phase Technology scientists and engineers are experienced in finding solutions to difficult problems related to phase transition behavior. Our history of innovation is clearly visible in the technological advancements we have introduced, all of which are done to improve our customers' profitability. For Phase Technology, innovation goes beyond just improving products. We believe in innovation as a strategic priority. 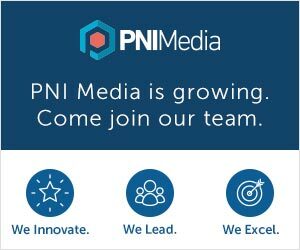 We strive to offer innovative services, find innovative solutions, develop innovative internal processes, and embrace innovative thinking throughout our organization.